Good News!! 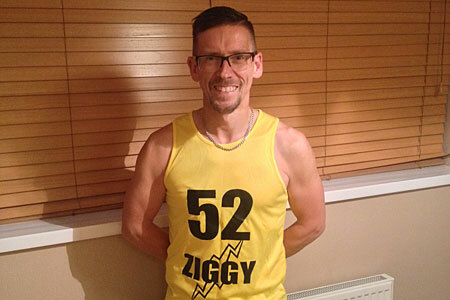 Richard Bowie (AKA Ziggy) is running the New York Marathon for us!! Richard Bowie (answers to the name Ziggy) is running the New York Marathon on Sunday 2nd November and would like to donate any proceeds from sponsorship he receives from friends and family, to Sight Cymru. Richard says “This is something which I have wanted to do since registering to run the marathon over a year ago, my late father Mr Robert Colin Bowie received vital equipment and support from yourselves when he developed visual impairment through Macular Degeneration, my dad had the worst type! This had a major impact on his quality of life and restricted his mobility and general quality of life, however he very much appreciated the support , equipment and advice Sight Cymru gave him, sadly he passed away over 2 years ago, but Sight Cymru still send newsletters to my step mum Mrs Vera Bowie and keep in touch, it may be that she may also may need similar support herself in the future , hopefully not but we know Sight Cymru would be there to support her if required like you do for so many in the local community. It is important to me that I can have the opportunity to pay something back for all the excellent work the charity does, so thought running the marathon and fundraising for Sight Cymru at the same time would be a good opportunity. As they say every little helps! We all wish Richard (Ziggy) the best for his run in the BIG APPLE!! If you would like to donate we have set up a donate page with BT Donate – simply click the link above.